Looking for the perfect Long Island vineyard? Long Island wedding photographers know all the best wedding venues, so we’ve rounded up six of our favorites. If you’re planning a North Fork wedding, you’ll want to consider this award-winning vineyard. The venue can accommodate up to 300 guests for a sit-down dinner, or 250 with room for a dance floor. The catering is literally award-winning, but we’re all about the amazing scenery. 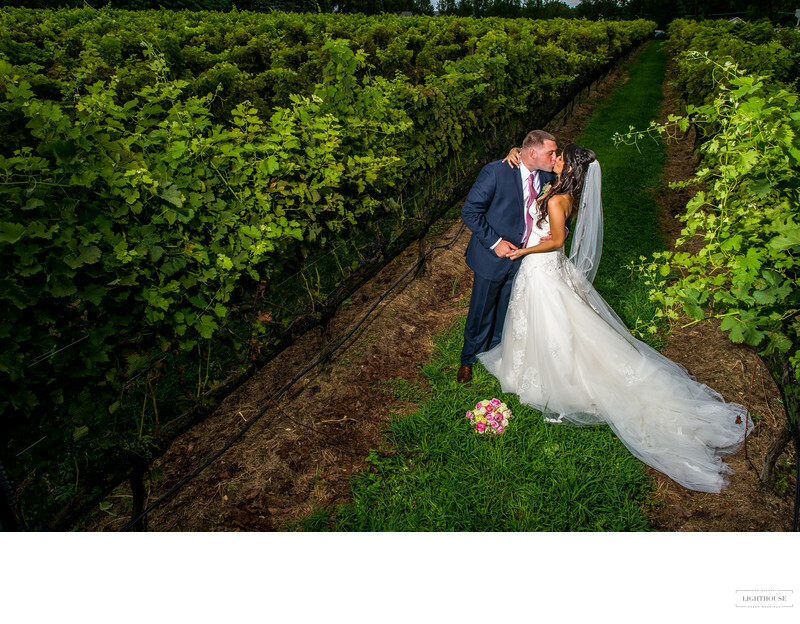 From a pond with a waterfall to the lush rows of vines to outdoor terrace for either your ceremony or reception, The Vineyards is a dreamy space for any Long Island couple — and any Long Island wedding photographer. 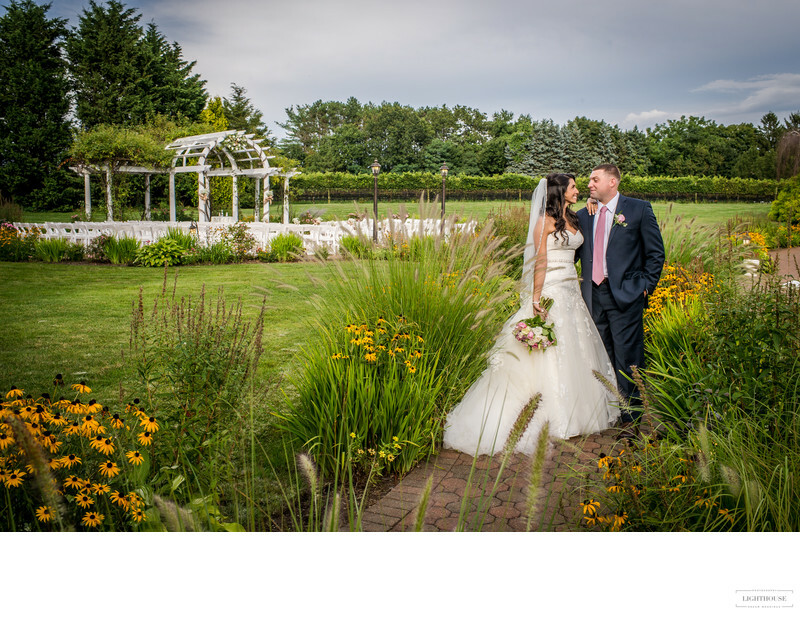 Another beautiful place for a North Fork Long Island wedding, Pellegrini Vineyards is located in Cutchogue. It’s an ideal location for the warmer months, with a beautiful terrace that can be set up with tents and space for up to 200 guests. If you prefer time inside, though, the tasting room has a charming rustic vibe that’s perfect for a relaxed vineyard wedding reception. 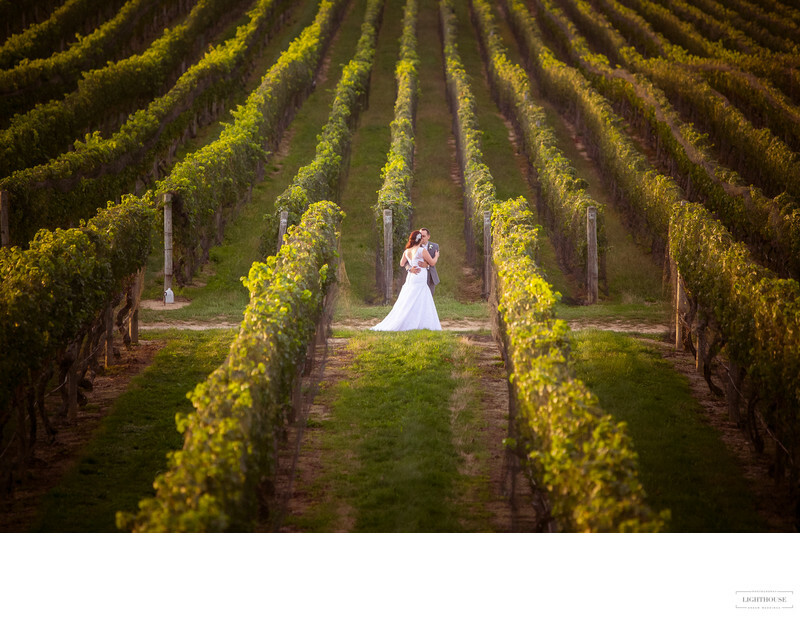 And we can’t get enough of the views: acres of vines, perfect for wandering and capturing your romantic wedding portraits. There’s even a little gazebo tucked away in there — you won’t want to miss it! If you want to feel like you’ve taken a trip to Europe, without leaving Long Island, Raphael is the place to be. They pride themselves on their “old world” vibe, and the Renaissance Room absolutely lives up to its name. At many vineyards, the outdoors is the main draw — and Raphael certainly has its share of beautiful views! But inside is just as spectacular, with sweeping staircases, vaulted ceilings, and giant chandeliers. 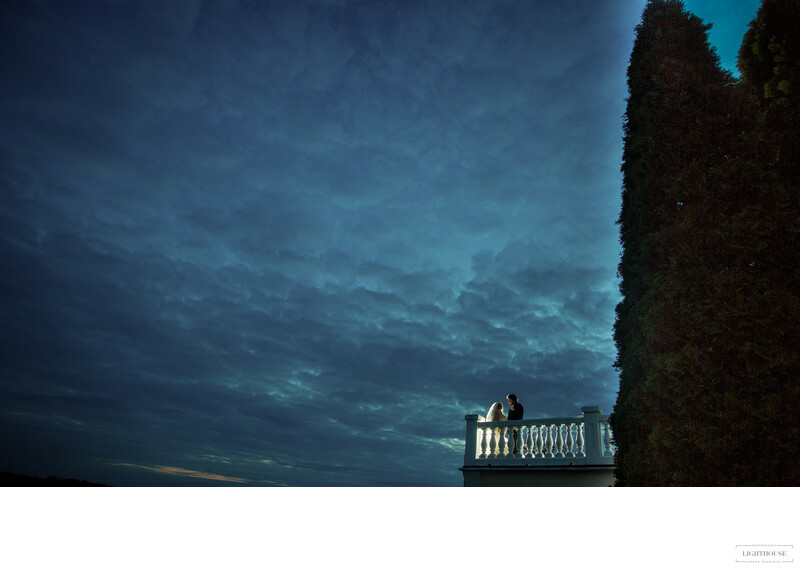 It’s a favorite venue of Long Island wedding photographers, and just as popular with every couple or guest who’s ever attended a wedding here. Another Cutchogue venue, Bedell Cellars one of the most popular spots for a North Fork Long Island wedding. You’ll love the beautiful setting, which can accommodate up to 200 guests for weddings, bridal showers, and engagement parties. 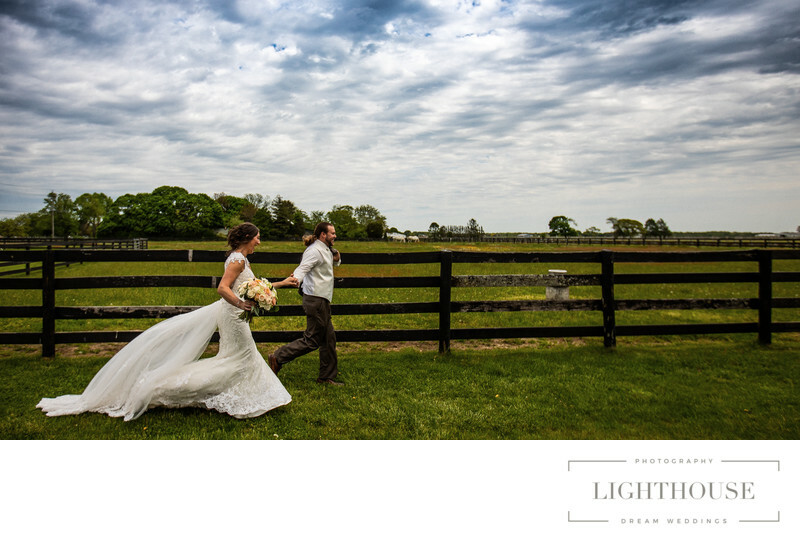 And Long Island wedding photographers love that it has so many quirky spots to enjoy! There’s an apple orchard, the sweeping rows of vines to explore, and even a barn-style pavillion with incredible views where you can dance the night away. There’s no bad spot to take a photo here! True to their name, Sparkling Pointe specializes in sparkling wines, which makes it a perfect location for a celebration! The indoor tasting room, which is ideal for smaller sit down dinners, has an old-manor vibe, with sweeping ceilings and crystal chandeliers. If you have a large party, though, the tented terrace is the place to be. We particularly love seeing the 10 beautiful acres of vines when they’re backed by gorgeous sunset views. Located on the North Shore, Martha Clara combines that beautiful Riverhead Long Island weather and sweeping vineyard views for a setting that feels like you’re out in the country. Some our favorite features include the perfectly-named Bridal Path, the most popular spot for an outdoor ceremony, and the horse pasture, where you can take photos or even rent a horse and carriage for your arrival. 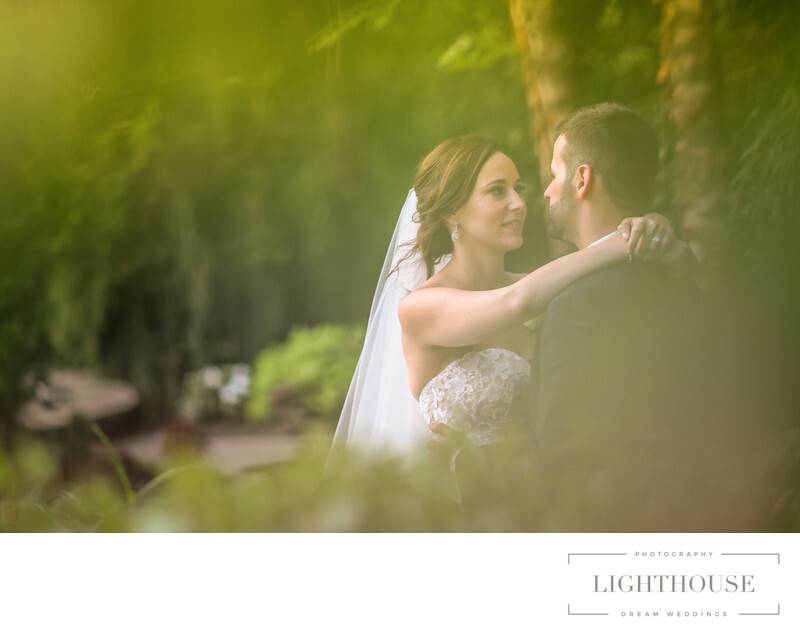 Need a wedding photographer on Long Island? Location: Southold, New York 11971.